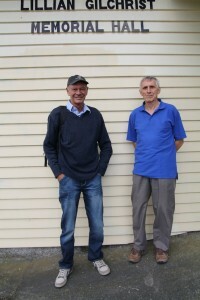 Revell ZL2SS and Peter ZL2LF outside the NARC Clubrooms after the exam. Revell is the one with the happy smile! The 18th of January saw Revell Troy turn up at the NARC Clubrooms to sit his radio amateur’s exam. No need to worry. Peter ZL2LF and Lee ZL2AL assured him that it wasn’t all that difficult. It wasn’t and Revell flew through the exam in short order and passed. A few days later he was assigned ZL2SS. Well done Revell We will expect to hear you on the air soon. Apologies: ZL2VM, ZL2DC, Accepted ZL2TC,ZL2MO. Present: Lee ZL2AL, Mike ZL2MY, Wally ZL2MO, Bert ZL2OC, Revell ZL2SS, Dave ZL2MQ, Stan ZL2ST, Rob ZL2US, Shane ZL2PG, Karl ZL1TJ and visitors Mike Pratt G7MRY and Mr.Norm Redlick (Shane’s dad) from Canada. Minutes of the previous meeting, read and confirmed correct: ZL2MY, ZL2MQ. Arising: Rob enquired if any further communication had been received from the Soderlunds. None has. Dave ZL2MQ asked if the 6m beacon is operational. Response from Laurie: we do have a license but the antenna needs repairs. Dave: should the 2m beacon be CW only? Laurie: Yes. Dave ZL2DW: refer to latest Infoline, 6m beacon frequencies to be moved. Email from Branch 13 regarding the social get together planned for Saturday 1 March starting 2pm at the Pakowai Hall clubrooms. Attending wil be Debby Morgan, NZART business Manager and regional Councillor Warren ZL2AJ. After Debby’s talk the barbeque will be fired up. Finance: Stan presented accounts for shared expenses for (Nat sys.) repeater maintenance ($20) and MED licence fees ($61.33), also an account parts for repairs to the club’s HF tri-band antenna ($94). Payment moved ZL2TC, seconded ZL2ST. Laurie welcomed visitor Mike Pratt G7MRY, member of the Andover and Salisbury Radio Club. Mike told the meeting about his New Zealand tour and imminent return home. 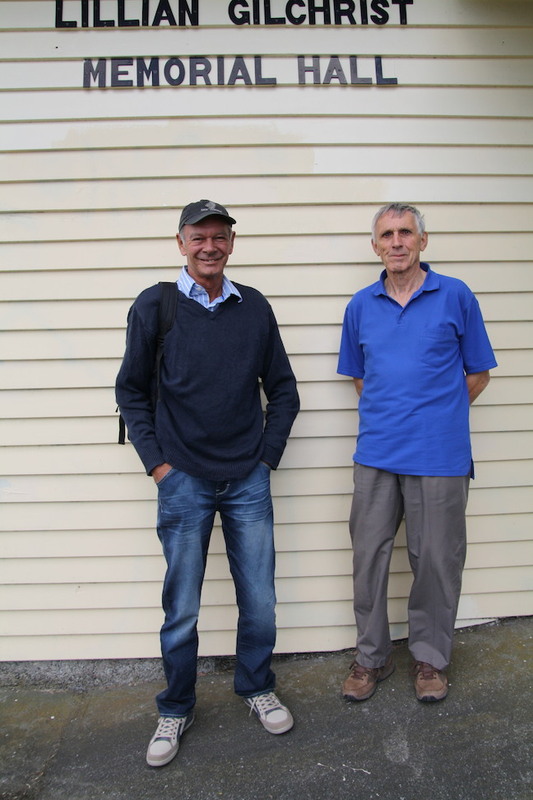 He found the Napier ARC through the website and commented that repeater traffic in Hawkes’ bay indicates a more active amateur radio fraternity than other parts of the country. Lee’s friend ZL1AIX donated a number of back copies of NCJ and KiwiX magazines to the club. Lee also reported on having refurbished the boom section of the 3 element 3band yagi donated to the club by Stan recently. The antenna is virtually ready to be installed. Laurie thanked both Lee and Rob who assisted in various ways. Dave ZL2DW referred to gear offered for sale via the Branch 13 and Branch 25 reflectors. https://groups.yahoo.com/neo/groups/zl2gt/info . Rob mentioned repeated malicious triggering of the Hastings 670 and Napier725 repeaters. Lee congratulated Revell, now ZL2SS on passing the licensing examination with very high marks. Lee also briefly explained the ongoing preparations for the planned April 5th one day Hamfest. Followed by Laurie ZL2TC’s discourse on 6 meter operation. The 6meter band, which has become available to ham radio once again thanks to the demise of analogue TV is sometimes called “The Magic Band” because as Laurie says:”When it is dead it really is, but when it’s open it is magic”. The band, being neither HF or VHF, has characteristics all of it’s own and can be very exiting as sudden openings appear (and disappear). Propagation is via sporadic E, clouds of metallic ions produced by disintegrating meteorites or through signals bouncing of the tails of minor meteors entering the earth’s atmosphere. The latter offers great signals but of very short duration only. Laurie discussed equipment needed and various modes, Internet resourses and beacon operation. 6m DXCC has been achived. !